All UK businesses and organisations have a legal obligation to protect the health, safety and welfare of individuals on their premises; this includes staff, visitors and contractors. Most organisations have health and safety policies or safe working procedures for staff but many fail to properly communicate these to visitors and contractors, who pose a larger potential threat due to unfamiliarity with the organisation and/or location. Kalamazoo Direct’s health and safety solutions are designed to meet the demands of modern organisations. We understand the importance of health and safety and it is with this in mind that we have used our experience and expertise to create innovative and efficient health and safety products to enable you to meet your legal obligations and effectively fulfil your Duty of Care. 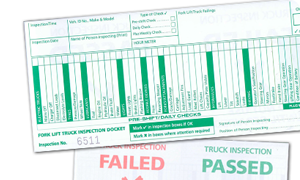 Many accidents are caused by lack of or poor planning: Health and Safety regulations are put in place to ensure organisations (at least) meet minimum standards in order to protect the health, safety and welfare of people on their premises. The consequences of not meeting these responsibilities can be severe. Personalised systems to help you efficiently manage your contractors. 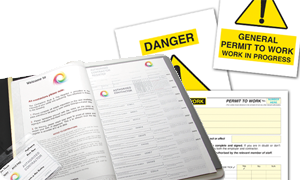 Paper systems to help your organisation keep health & safety compliant. 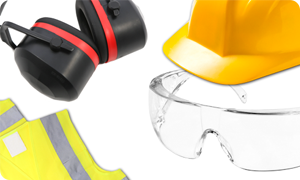 High quality PPE equipment to suit your specific health and safety requirements.